Last Christmas my older sister Sam had a new purse. It was really pretty and so I asked her about it. She said "It's a Miche Bag!" 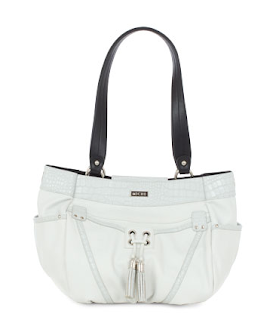 I had never heard of a Miche Bag before, so she sent me to their website to check it out. They are great! A Miche Bag is a bag inside of a bag. There is a base bag that holds all of your stuff, just like a regular purse. But the great part is, the base bag fits into outer shell bags and all of the shells are different. So you buy your base bag, and then you buy your shell, or as many shells as you like! There are all kinds of different looks to choose from. You can also buy different handles and accessories to really give your bag a unique look. It is so easy to just lift your base bag with everything in it, into your different shell bag. Just like that you have a totally different bag. I always love carrying a big bag for my books or extra jacket, or whatever else I might need for the day. My new Miche Bag is roomy, stylish, and just about perfect for anything I'm wearing. I live a busy life, so having a bag that's so easy to change the look of is great for me. I have the new Farrah Bag that's been introduced for spring. 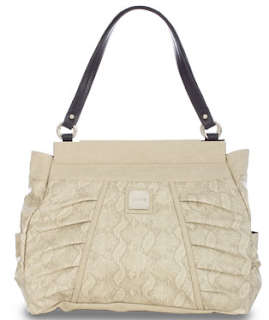 It comes in a smooth light cream colored snake-patterned faux, and it's perfect for day or night. I also have the Kendal Bag, another bag that is a spring introduction. It comes in a soft silver faux leather with top pleating detail, and convenient deep side pockets. 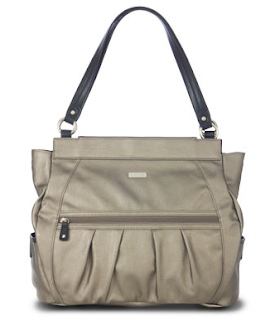 I really like the Miche Bag and I hope to get more. They even have a Megan Bag! To see the entire line of bags and products, go to michebag.com. The Megan Bag is on my need to get list! You can save money on a Miche bag and get customized service if you go through an Independent Miche Representative like myself. My site is http://Dana.Miche.com I am also on facebook http://www.facebook.com/DeltaDana.Ind.Miche.Rep or you can just search DeltaDana on Google. Would love to hear from you! Stop in and say Frugal Family Tree sent you.